Those of you who have had more than half an eye on PUBG over the past year or so will know that region locking has been quite a hot topic for months now. Lots of players have been almost literally clamouring for region locking (limiting players to matchmaking within their own region) for months now. And now that it’s here, they’re not happy. The calls for region locking stemmed in part from the massive influx of Chinese players playing on North American servers. These players were labelled by both the larger community and PUBG’s anti-cheat service, BattlEye, as responsible for the “vast majority” of cheating within the game’s entire community. 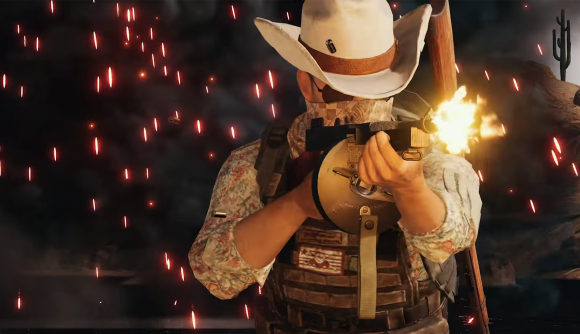 PUBG Corp and Bluehole had held out against those community demands for a long time, with Brendan Greene himself stating at one point that region locking “just doesn’t work.” Last month, however, they changed their tune, stating that the game would begin locking players to their own region, unless they were playing with a friend from another region. That change made its way to the game in its latest update, which went live earlier this week. Sadly, it would seem, PUBG players didn’t really want region locking at all, because plenty of them are very angry. A look at the game’s Steam discussion forums show that some players are facing issues with their ping. Others are finding it difficult to find games, and yet more are reporting that they’re being matchmade with cheaters again. My personal favourite post is titled “Regional Lock is most stupid thing so far.” A reminder that this is a game for which the devs will have seen nearly every update post drowned out with dozens of messages demanding they “region lock China.” Obviously it’s a shame that the game isn’t working as intended, but there’s a delicious irony to the whole situation. As well as region lock, PUBG’s latest update adds ranks and grenade wheels, and brings back map picking. Update 22 went live earlier this week.